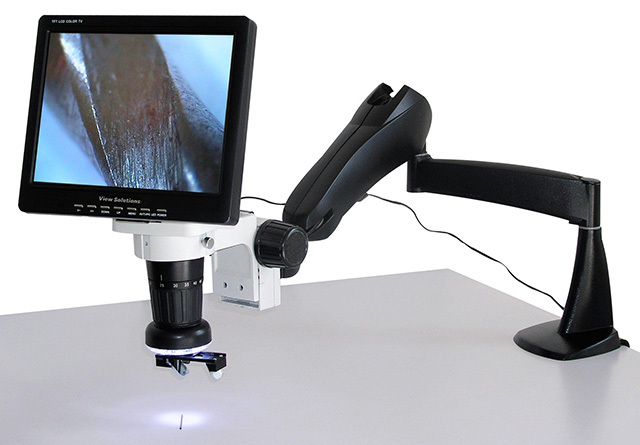 LX-100 series video microscopes incorporate vision camera, zoom lens and 8″ or 10.4″ LCD screen into an ergonomic vision inspection system that is easy on the eyes and pocket book. 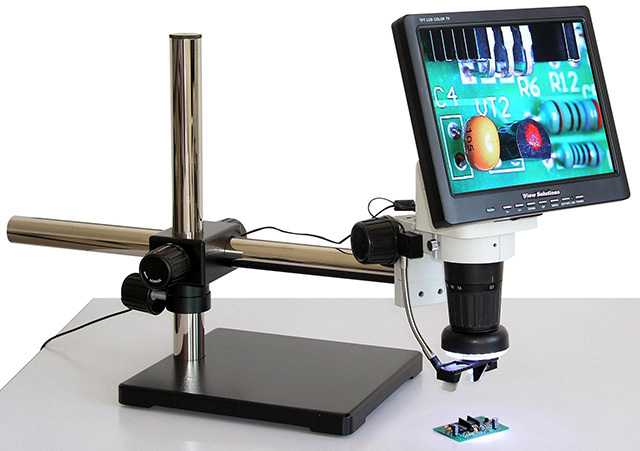 With a simple push by finger, one can view PCB with 35° oblique viewer; with another push, one can view straight with long working distance for rework. 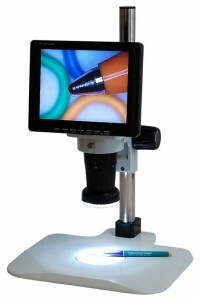 Built-in LED ring light and laser pointer make the inspection faster. Adapter lenses allow you to expand zoom up to 5x – 200x for greater flexibility. USB adapter included for connecting to computer.